Sugar has gotten a bit of a bad rap …literally. It seems that people need to have something to focus on as the “bad guy” and right now that one thing is sugar. In fact, many people now believe that sugar itself can actually cause cancer. Even though the definite proof of sugar’s relationship to cancer has not been completely proven, one thing is for sure…overeating sugar definitely contributes to cancer because of what it does to your waistline. 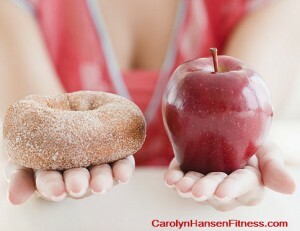 Consuming too much sugar…beyond what your body needs eventually causes overweight and obesity. Obesity and overweight conditions are dangerous conditions that cause cancer so therefore, being overweight definitely puts you at a higher risk for developing diseases such as cancer. Because of the negative feedback about sugar in the press and because more and more people have become enlightened about their sources of sugar, some companies are a bit sneaky about listing their “sugar” ingredient. They choose to disguise it under other names so you really need to be a bit of a detective when reading labels. Although there is not yet an affirmative link between artificial sweeteners and cancer its best to avoid them altogether until more is known. Be aware that natural sugars still contain the same amount of calories as regular processed sugar so it’s important that you stick closely to the recommended daily amounts and check your ingredient labels for added sugars because it all counts. Also be aware that crackers, pasta sauces, salad dressings and other “savory” dishes can be loaded with sugar…all contributing to your daily sugar intake and calorie count. According to the American Heart Association, women should have no more than 6 teaspoons of sugar per day. That works out to be about 24 grams and equates to about 100 calories. Men are allotted up to 9 teaspoons a day…37 grams or 150 calories. At present many Americans eat twice those numbers which equates to an extra 500 calories per day that do not contribute anything towards boosting health and fighting off cancer. In sugars defense, many of the foods we presently enjoy would not be nearly as pleasant without that touch of “sweetness” added and when enjoyed in small amounts, sugar…especially the unprocessed kind has its place in a balanced diet just like anything else does. Cancer is a disease that can for the most part be avoided. Wouldn’t you like to know RIGHT NOW if there is an invisible threat hanging over your head? Click the link to take my free Cancer Risk Test. Knowledge is power.